Your browser does not support the old version of this player. 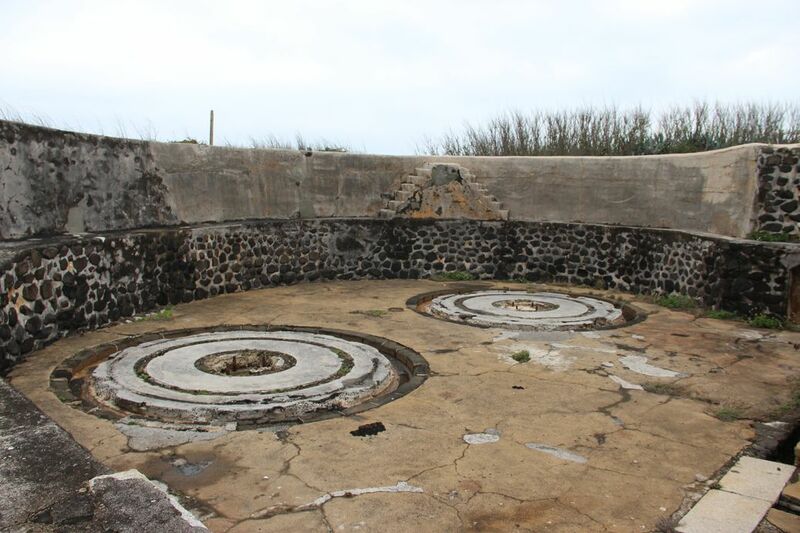 The Magong Jinguitou Fortress is located at the western corner of the Magong Peninsula on the main island of Penghu. Together with the Shetou Mountain of Fengguiwei on the opposite shore, the fortress is strategically situated to defend Magong port. An artillery fort was already built here by the Koxinga government of the Ming Dynasty. 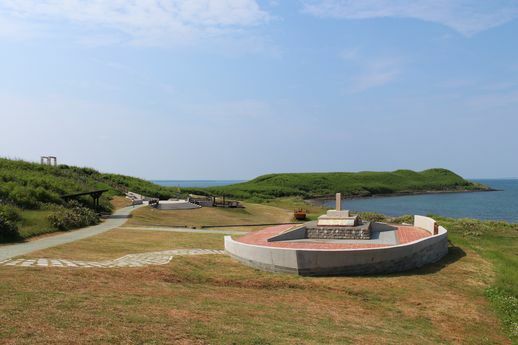 In 1717 (the 56th Year of Emperor Kagnxi), the new Penghu city was rebuilt at the same location. In 1864 (the 3rd year of Emperor Tongzhi), Vice Brigadier General Wu Qixun reconstructed and named it Magong Jinguitou Fortress. During the Sino-French War, the fortress was destroyed due to its poor defensive performance. Following the Sino-French War, Liu Mingchuan was sent as governor to handle the aftermath of the war, as well as artillery procurements and the construction of forts in Taiwan and Penghu. 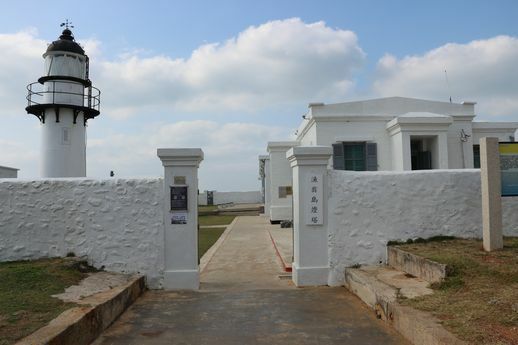 In 1887 (the 13th Year of Emperor Guangxu), he appointed Wu Hongluo as a garrison commander to rebuild the artillery forts in Penghu. 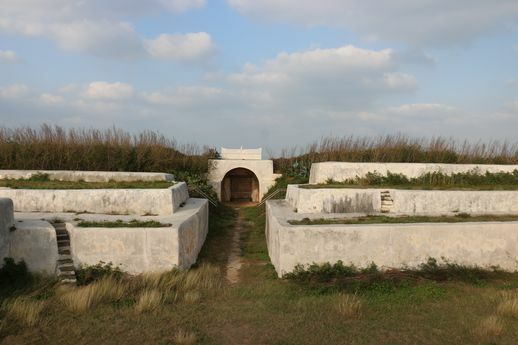 Being one of the four forts built at the time, Magong Jinguitou Fortress was armed with three Armstrong breech-loading cannons: one 7-inch caliber, another 10-inch caliber, and the other 12-inch caliber. The fortress was built in a rectangular layout and surrounded by inner and outer walls. 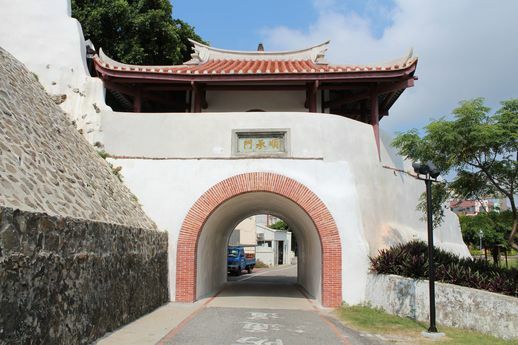 Two arched hallway entrances were built in the middle, above which was a plaque inscribed with “Tian Nan Suo Yao” meaning a “southern strategic key and lock.” In addition to its artillery positions and bunkers, a large domed barrack, a main ammunitions depot, and another small ammunitions depot were also built nearby. Three offices were located at the center of the fort. Another large ammunitions depot was built approximately 275 meters away from the fortress. Japanese forces continued to use the fortress for military maneuvers during the Japanese colonial period. Changes to space utilization took place after the Chinse Nationalist army gained control of the fortress, but its significance as a critical defensive position has never changed. Search your nearby monuments and activity! © 2019Bureau Of Cultural Heritage,Ministry Of Culture copyright.